Looking for a new Mercedes-Benz? We’ve got the best inventory around. Thinking pre-owned? We’ve got plenty of used vehicles in stock. Coty Morris was extremely helpful in the whole purchasing process! Everyone at the dealership is very pleasant to deal with. For the next car that we need, I am going to look here first . Not all vehicles are created equal. All may be capable of getting from point A to point B, but only some are able to do that with luxury confidence, comfort, convenience and style. 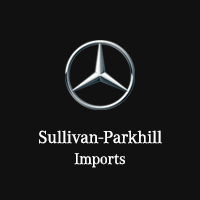 At Sullivan-Parkhill Imports, we specialize in just those kinds of elite automobiles. We are excited to offer the complete lineup of new Mercedes-Benz models for your consideration. We also have a number of pre-owned vehicles for you to consider from many major automakers, including other luxury brands. It’s not difficult to find something exciting when you browse all that we have to offer. Our commitment to excellence extends past our inventory. Our financing team has extensive resources at their disposal that help all drivers get an auto loan on fair terms. And thanks to our streamlined process, it takes less time and less hassle to finish the sale. After you’re out on the road, rely on our service department to handle your routine maintenance and necessary repairs. Our expert team of trained and experienced technicians specializes in Mercedes-Benz models, but we are able to provide exceptional care to any vehicle you drive. We’re proud to carry the genuine Mercedes-Benz parts and accessories you need to make a superb car even better. Drivers from Springfield, Bloomington, Peoria, Decatur, Danville and beyond make the drive to work with our reputable dealership. Find out what makes us different by stopping by in person Monday through Saturday at 401 W. Marketview Dr, Champaign, IL, or contact us at your convenience to get information on demand.